Divisive in life, divisive in death; that’s the message from the immediate aftermath of the death of Britain’s first female Prime Minister Margaret Thatcher. While her supporters expect her funeral on 17 April to be an occasion of reverent national mourning, opponents have already found it hard to suppress jubilation at the demise of the political figure who was hated in many parts of the UK. There were impromptu street celebrations in Brixton, South London, Liverpool, Bristol and Glasgow. Participants waved posters proclaiming "Rejoice, rejoice", a vengeful echoing of Thatcher’s words during the Falklands War after the sinking of the Argentinian ship the Belgrano, with the loss of 323 lives. Trade unionists also plan to celebrate the passing of their nemesis, the woman who broke the power of the unions in the 1980s. Dave Hopper, the general secretary of the Durham Miners’ Association, said: "It’s a great day. She did more damage to us than Hitler did," adding that his group would be marking her death with a party. "We will have a hell of a time," he said. "We will have comedians on and bands and we are going to enjoy ourselves. There will be a lot of men wanting to have a drink and celebrate." Disgraced former defence secretary Liam Fox condemned the parties. "Why do the Left have such a talent for hating?" he asked. The funeral will be attended by the Queen and dignitaries from around the world, possibly including Mikhail Gorbachev and former First Lady Nancy Reagan. Nelson Mandela, the man Thatcher called a "grubby little terrorist", is unlikely to be there, although he forgave her for her part in propping up the apartheid regime. Thatcher had not wanted a state funeral, because it would have required a Parliamentary debate, which she knew would be bitterly divided. Instead it might have been more appropriate to have put the funeral arrangements out to tender from the private sector, with the costs underwritten by sponsorship and advertising. 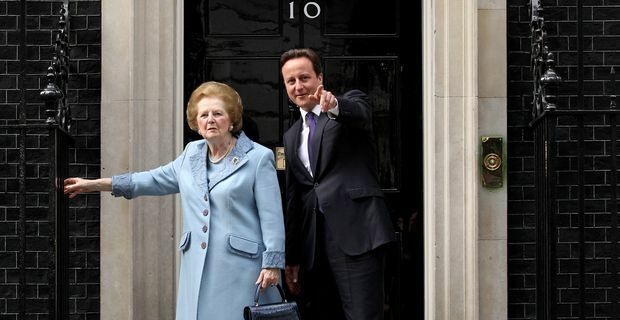 As the prime mover of privatisation, it would have been a perfect fit for the Thatcherite ideology.